The Lib-Chip MediaBank CD/DVD dispensing unit provides a secure solution for libraries circulating CD’s and DVD’s. The MediaBank software is fully integrated with your LMS allowing patrons to borrow and return media without requiring staff intervention. Allowing patrons to make their selections online remotely provides a sustained rental frequency of over 90 transactions per hour. The completely secure metal housing ensures materials are protected and provides the option of allowing the library to place this equipment in a location where 24 hour access is possible. The administration software makes the system easy to maintain for library staff and adding new materials a breeze. Security for all high circulation and security sensitive items such as CDs, DVDs, CD-ROMs as well as Sony Playstation, Nintendo Gamecube, and Microsoft X-box game disks. 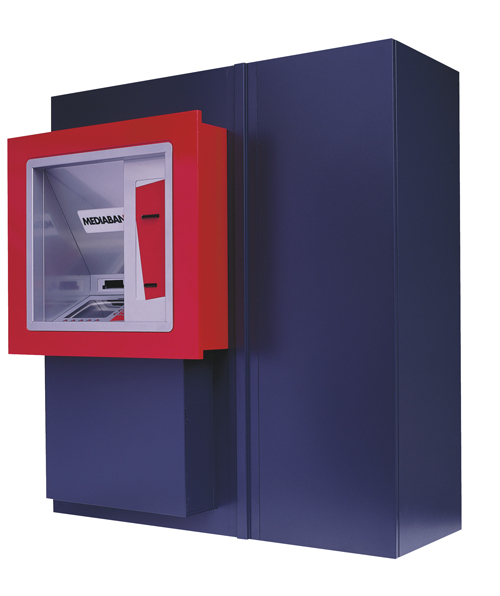 A fully self-contained self check-out and self return system. Patrons can browse and place a “short” reserve on items in the MediaBank using either Web Reservation software or Selector Reservation software without requiring access to the MediaBank window. Materials are dispensed in special sturdy disk cases – requiring no extra handling by patrons. Automatic weeding though overflow bin when unit reaches capacity. Fully equipped with remote diagnostic capabilities and administrative functions. Compatible with all SIP 2 compliant Library Management System.